Ring Size 1/16, 1/16, 3/16 in. JE Pistons can make it happen, and that's probably why more engine builders choose them. JE's success, though due to many factors, is mainly thanks to their high-tech, CNC-based manufacturing facility which produces thousands of accurate, identical pistons. JE was the first and is the only manufacturer to use Ultra-Crown 3-D technology. Considered an industry standard among the racing elite, this technology allows you to take advantage of one of racing's most guarded secrets. 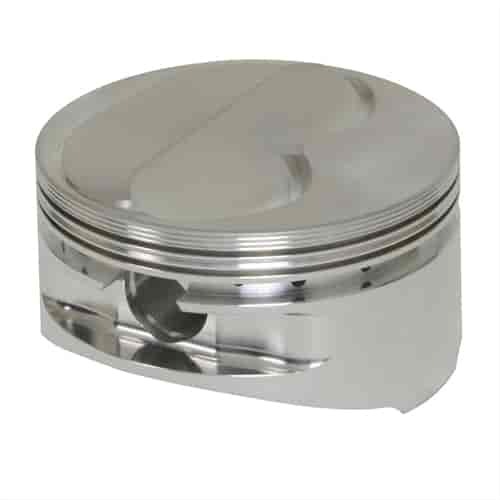 Ford 302 Inverted Dome: These pistons are designed to be compatible with forced induction and nitrous applications. The valve reliefs are machined to accommodate larger valves and long duration, tight lobe separation cams. Note: Pistons sets are sold 8 per package except for Buick V6.